11-Oct-18: - The 1.8.x beta versions now have a loading screen feature that enables us to see exactly what is being loaded - if you are able to include a screenshot here of the loading screen at the point where it is crashing it would very helpful. 25-July-18: - The 1.5.2.1 hotfix should have resolved the issue for many of the players. For anyone still affected, could you please leave a comment below that includes your device details and any new information that might help in finding out the cause of the problem. 23-July-18: The latest on the issue is that players are getting stuck on the loading screen as it tries to load in certain textures for the in game store. The developers have pinned down the problem and we are working on getting a hotfix out to resolve this as soon as possible. Thank you for your patience! MCPE-25064 When I try to download anything like skins, maps, etc. the game freezes on the Minecraft loading screen. MCPE-34458 Startup Screen closes before using. MCPE-35111 Kicks out, Black Screen, or Just SITS THERE!! MCPE-35116 Stuck on the white title screen. MCPE-35131 Minecraft suddenly stopped working (and another minor bug). MCPE-35407 Everytime I open the app up, it will show the title and then kick me off to home screen since the update came out yesterday for me. MCPE-35503 Frezzed minecraft logo screen Again!! MCPE-35518 Crashing after downloading the music pack. MCPE-35933 What is happening with the game? MCPE-35946 Minecraft Bedrock Edition on Android mobile crashes shortly after opening app. MCPE-35980 App crashes between title screen and world select screen! MCPE-36079 iOS users have been experiencing a crash the second they load up MCPE. We all noticed this since 1.5.1 update was released about 2 days ago. 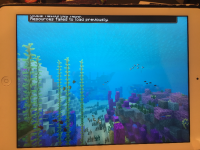 MCPE-36263 App on iPad will not launch. MCPE-36938 Game never load after first launch. MCPE-37478 Won't open. Crashes straight away. Unable to access Minecraft PE at all. MCPE-37994 PE won't load on Amazon Fire HD 6. MCPE-38852 Crash on Launch after latest update mid October 2018. MCPE-39395 The game itself will just not load. It will stay stuck on the loading screen indefinitely. MCPE-39578 The game stucked on the infinite white loading scream. MCPE-35997 Downloading music pack causes crashing.